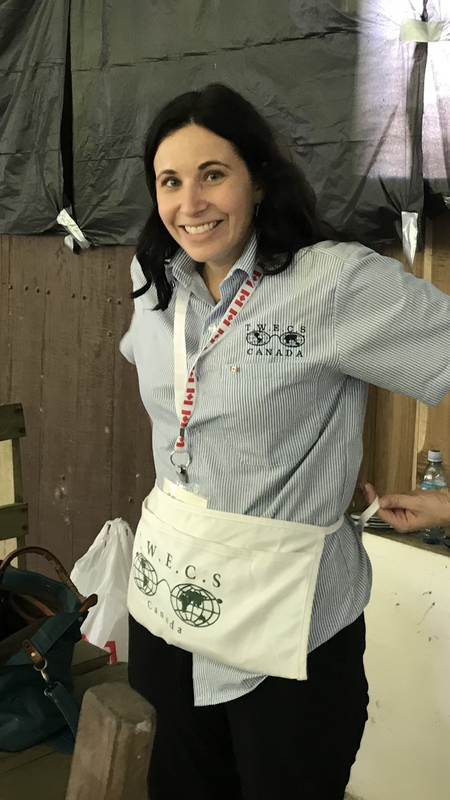 Thank you TWECS Costa Rica for all of your hard work and dedication to the indigenous Cabecar and the people of La Carpio. A special thank you to all our friends, families and donors for your generosity and support which has made this project a success. Thank you all for following our journey over the last 10 days. Please continue to donate your eyeglasses. In 5 Clinic days we served 1964 people and gave away 1260 pairs of prescription eyeglasses. If you are up for a unique and memorable experience, consider joining TWECS on our next project to Lima Peru July 2019. 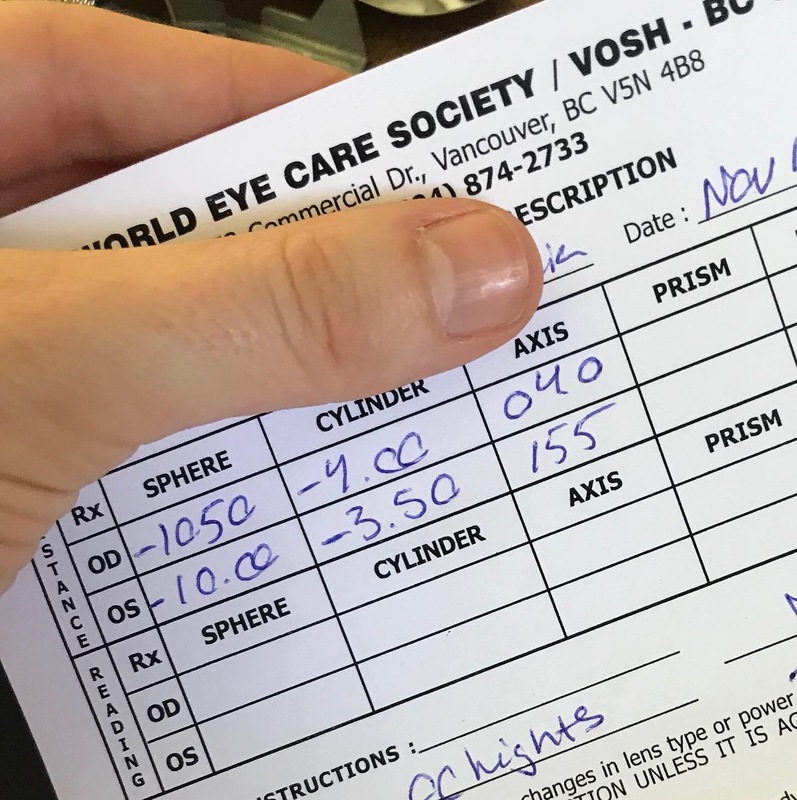 Each trip we bring one box of “low vision devices” donated from legally blind people in Canada, and that box is full of quite custom odds and ends, and it seems to have some magical (or spiritual) power. It honestly feels like some other power is working through us. One was a young 27 year old father irreparably blind in the left eye since birth, with a traumatic injury to his good right eye at the age of 8 that left him with a vision of finger counting at 3ft..basically legally blind. He came in with his wife and young baby. 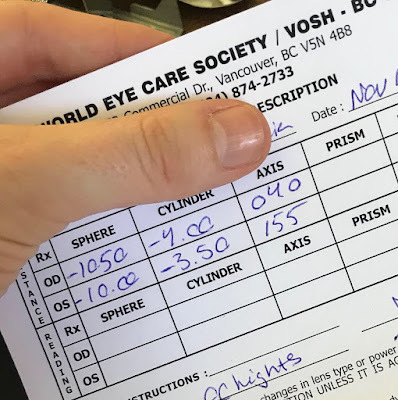 A combination of several high powered lenses from that magic box improved this man’s distance vision to a much more functional, but not perfect, state. With several other small but strong custom magnifiers he was actually able to read pretty well, and clearly see his son’s face for the first time. We were almost as happy as he was. Another patient was a young 10 year old boy, in a wheelchair who had such bad scarring on the front of his eyes from corneal ulcers that we really didn’t hold much hope. After sometime of showing him a variety of strong stand magnifiers (again from that box) he quickly became so engrossed that he tuned all of us out and began reading out loud while his mother beamed. It was a really magical moment. Those " special glasses" you save and put aside all year for the project created some wonderful moments of miracles. This sweet 44 year old woman was one of them. She has been without glasses for six years...incredible! when you consider that her prescription is -18.00. I saw her in registration and noticed her squinting so hard and I realized why. 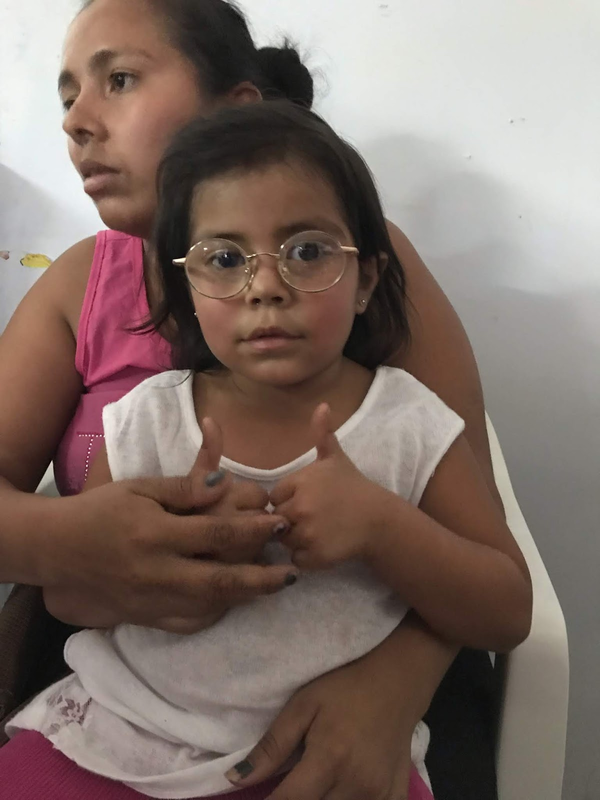 I found a pair of glasses and as soon as we put them on she said so emphatically "claro" and looked around the room saying "todo claro". It is your dedication at the warehouse that made this special miracle. There's a note in the photo for you. Thank you Roberto. It has been an exhausting week, physically and emotionally. A previous blog post mentioned “refuelling your empathy” and that captures the essence of what this trip has meant to me. To be with the people of La Carpio and the Cabécar, to get a glimpse into their live, has both been humbling and brought me so much joy. I had a moment of clarity on our first day with the Cabécar. Working in Visual Acuities, there is the pressure to get people through as fast as possible. Then I had a young girl who I think had a developmental delay. In trying to get her to understand how to show me what she saw, I got frustrated. Then I realized that that moment was a lesson: to understand that I needed to understand the person in front of me. I needed to “see” the people we were helping. From then on, I made sure to look each patient in the eyes, to greet them with “Buenos Días” or “Buenas Tardes”. I will never see them again, but for those few minutes, our lives intersected and we are all the better for it. We leave for home tomorrow. It is bittersweet to say goodbye. Life will go back to the usual in Alberta but, as with every project, I am forever changed by the people I saw this past week. It’s been a long 7 years since the last mission I joined with TWECS. 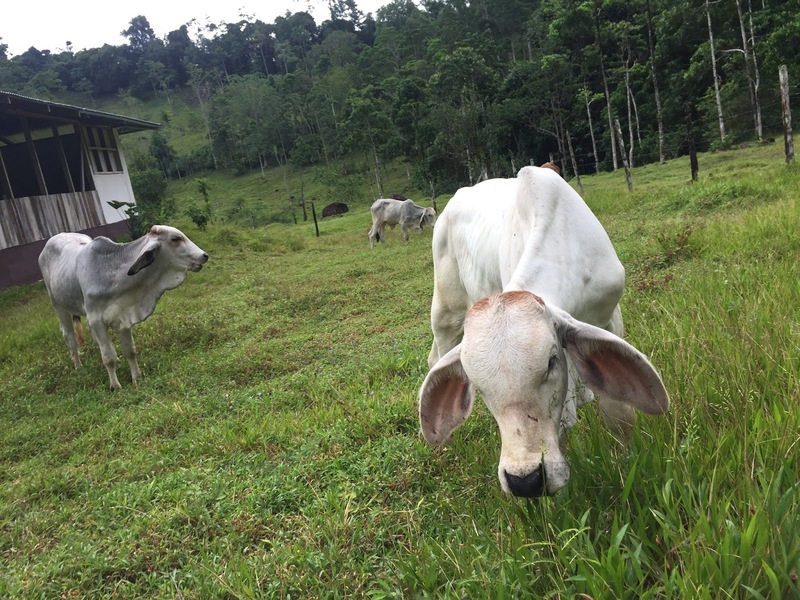 But the need to give back pulls on you and in this case it pulled me to work with the amazing Costa Rica team. 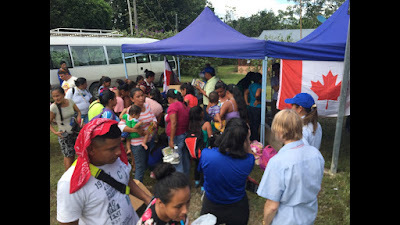 Setting up our clinics in the small area of La Carpio and Cabecar, we instantly see the need. Children go to school unable to see what the teacher writes on the blackboard; adults live unaware that they have eye health issues and without being diagnosed and treated could lead to blindness; others unable to afford glasses, struggle with work. I'm grateful for every donation those at home have made. Be it money or glasses, it helps the people here so much. This mission, like every mission I've done reminds me how lucky we are to live in Canada with access to healthcare and eyecare and the ability to afford our vision. For most here, its not possible. Our days here can be long and tiring, but being able to help provide vision to a young child and seeing her face light up as she takes in her surroundings, clear for the first time, makes it so worth it. Yesterday morning (day 4) we got up and had to be on the road by 5:30am to make the trip across the mountains to service and indigenous group (the Cabécar) and banana plantation workers. What was supposed to be a 3h trip turned into 4.5hrs due to a crash which closed the main highway forcing us to back track and take the windy mountain pass (Gravol was needed). The area of the Atlantic coastal plane is humid. 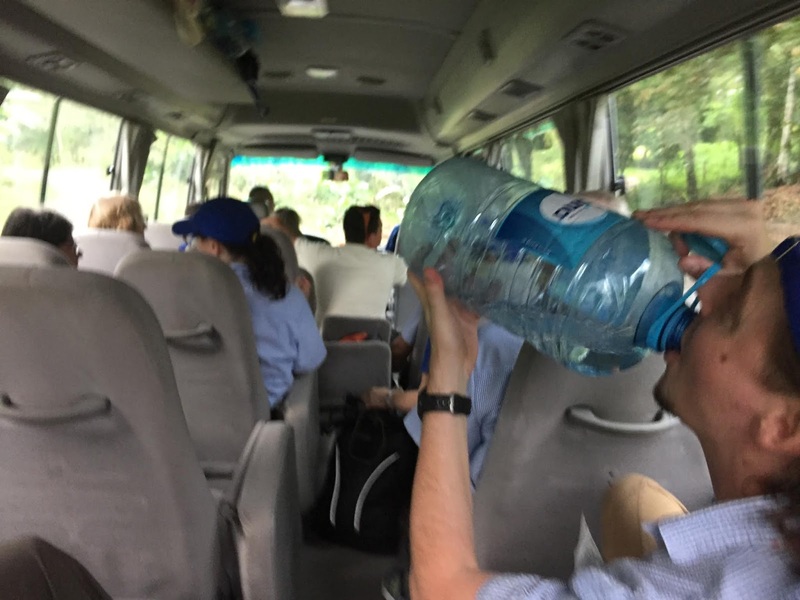 We all stared sweating immediately after stepping out of our air conditioned bus, causing our clothes to stick to us as we set up the makeshift clinic. Needless to say, by the time we started taking patients (100 had lined up by the time we arrived) I was not in a great mood. However, once I had an 11 year old girl in front of me with a -10.00 diopters of uncorrected myopia and approximately -4.00 diopters of oblique astigmatism it all became very clear why were had put ourselves through the rigorous clinic schedule and less than comfortable working envy: to give the gift of sight to a girl who has never before seen clearly in her life. After the clinic was packed up, our host took us down to the nearby Chirripo river. 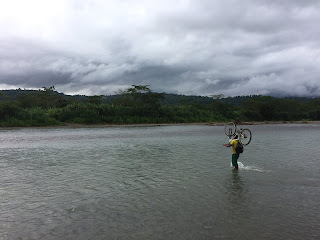 I wasn’t exact sure why but when we got there she explained that for the Cabecar have to cross a river on foot to get to and from their mountain reserve, often carrying their bikes of their backs and wearing boots to protecting snake bites. Shortly after, a teenager came to the river bank to do that very thing. Watching him wade across the river carrying his bike overhead with boots flooded in water was humbling to say the least. So after an exhausting, rewarding and humbling day. I was up again this morning at 5am ready to do it all over again. Yesterday we wrapped up our clinic in La Carpio, and headed 4 hours east to a much more remote region of Costa Rica to serve the indigenous communities of the Cabecar. 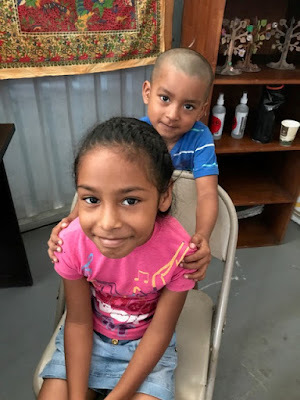 There has been so much in the news lately about refugees and mass human migration-and these groups are often cast as criminals, gang members, and poor people bringing disease. It’s too easy to paint with a broad stroke, and not see people as individuals. But of the hundreds of people we have served in La Carpio there were moms and dads with new babies, old people with very poor vision and no access to glasses, giggling teen girls, and generally hardworking, respectful people just living the life that has been put in front of them. People are people, and except for the luck of where I was born I can totally see myself in their place. The significance of looking directly into each person’s eyes is not lost on me. 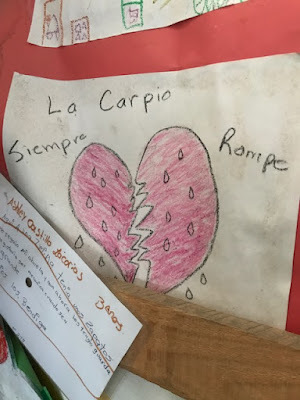 My translator told me that it basically says ‘the heart always breaks in La Carpio’. It’s a pretty sad image for me to work beside all day, but it has been keeping my mind in the right perspective. Here is a warmer picture from La Carpio: an elderly woman who was so happy with her glasses and new vision that she worked her way backwards through the line up to give me a hug before she left. It warmed my heart and reminds me of why these trips are such a rewarding part of my life. Also in this picture is Marina, our team leader and one of my personal hero’s. 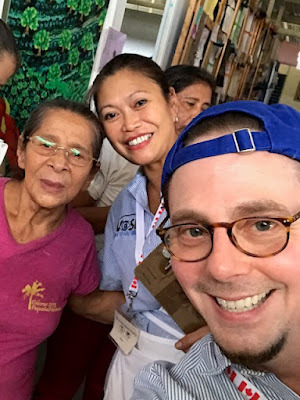 She has done dozens of these trips all over the globe over the last 2 decades, and she told me on our way here that this trip was important to her because she felt it was time to “refuel her empathy” which had been chipped away through her day to day and practice life. What a great thought, and another good lesson. Thanks Marina and Derek for all you do to make this possible for the people of Costa Rica, and for each of the members of this team who will return home so much richer. Dr. Dan Bernet Sr. and Dan Bernet Jr.
“It’s been twenty minutes and you are already sweating through your shirt!” said my dad, the older guy in the photo above. We had just arrived and set up a clinic in Cabecar, a small village five hours East by bus from San Jose. 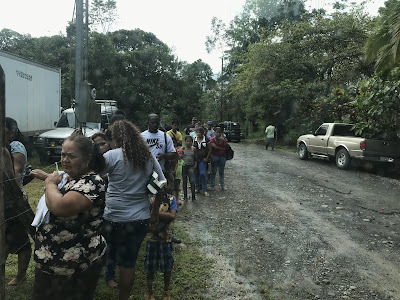 When we arrived there was a line of indigenous Cabecar people waiting outside the “clinic”; a converted community hall / church. The Cabecar are an indigenous group that live in the mountains of Costa Rica. Most of the community lives and works in a cooperative banana plantation that sells its crop to larger produce companies. The Banana plantations span an immense amount of space, to get to the clinic many had to walk on winding mountain roads for 2-4 hours. This commute culminated in fording the Chirripo river on foot, which is around 80 meters across. 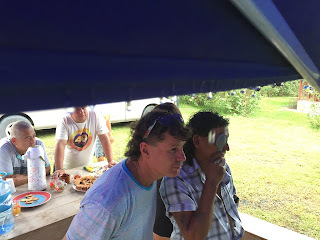 My dad and I are continually amazed by the folks we meet on trips like this. The hardships they endure daily would be considered insurmountable by many in our home countries. While we are surprised by how much we sweat after toiling for twenty minutes, they cross a river as part of their daily commute without batting an eye. It feels pretty rewarding to help this community with their vision, we are looking forward to returning tomorrow. I met this young man in Registration with his mother. When I asked him what his concern was about his vision, he wouldn't speak and would not look up at me. After a few unsuccessful attempts to get a response, I asked his mother if he could speak and she replied "retardado" which means retarded. He was so happy and everytime his mother asked him if he could see, if he was happy with his glasses he would nod his head repeatedly with this big beautiful smile, and the best part was that he looked up at me to take this photo. I wish you could have seen him Rodger and Robert!!! I was thinking of you guys. We gave him 3 pairs. Making connections with the people we served was a strong thread today. I think for me, between feeling a little more confident in the space, pace and language gave me an easier opportunity today to connect a little more than simply finding the right pair of glasses for them. I fit a couple with glasses who had been married for 45 years. I fit a Peruvian Monk who ended our encounter with a traditional blessing. I fit a few young kids with their first pair of glasses (one boy who, all day, continued to run back into the dispensary area and hug and thank us.) I fit an elderly woman, with a very strong prescription and broken glasses who cleans for a living. We were able to give her a few pairs - one for her work/working distance and two pairs for her long distance (one pair for back up). Without glasses, she would not be able to see the "Big E" on the eye chart, totally stranded and unable to earn an income. These are the kinds of people you have a chance to serve and hope these efforts today and in their future, will help them. These stories come as the final, raison d'être, after many, many months of efforts on behalf of Dr. Marina Roma-March, Derrick March, and the TWECS team at the warehouse. The layers of bureaucracy, letter writing, permissions, establishing credible and reliable assistance on the ground in advance of the project is not to be forgotten. There are hours and hours spent measuring, cleaning, aligning donated glasses. There are investments needed to secure decent quality ready-made reading glasses and less often donated (most often needed) prescriptions. Believe it or not, it's a lot of work to serve the poorest communities who really need it the most. 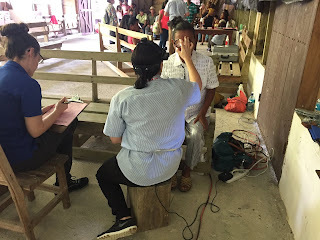 It doesn't happen by magic to get to this final, rewarding experience of actually seeing if someone's eyes are healthy and meeting their prescription needs. If you're reading this and could find a way to donate your time or money, you too can play a part in this effort. Tomorrow, we are off to serve some indigenous groups near the border between Costa Rica and Panama. 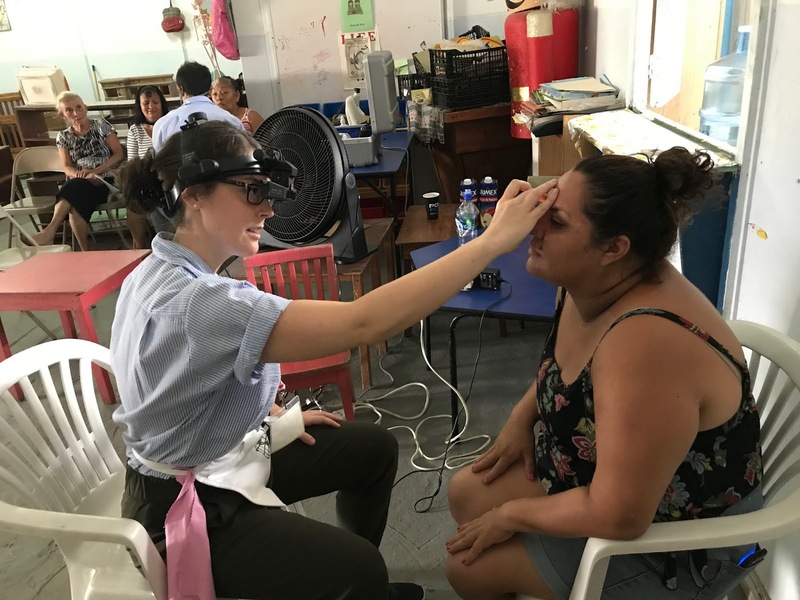 This may be their only opportunity to receive eye care for a year or likely more. This has been a tremendously rewarding experience. Perhaps you might find yourself doing this one day, too! I have seen many people in my travels with eye care issues that were suffering with the consequences. When I spoke to my eye doctor about it she immediately recommended that I contact Dr. Roma-March and TWECS. 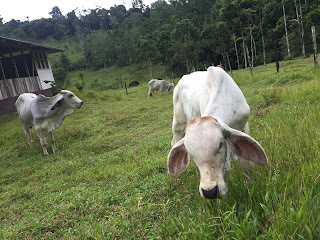 That is how my journey to this TWECS project in Costa Rica began. 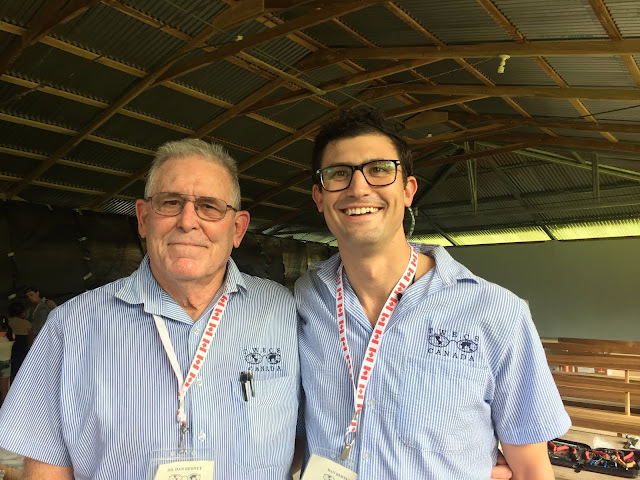 First I attended the TWECS warehouse where I saw how the donated eyeglasses are received, sorted, cleaned and catalogued over the course of a year. At the La Carpio clinic I was assigned to the first of 6 stations, Registration. 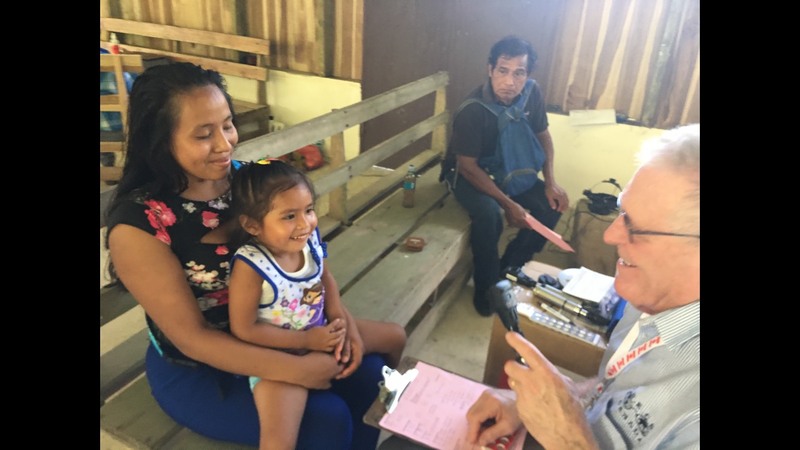 People of all ages came to the clinic throughout the day. Many were mothers with young children and infants. One was a couple that had been married 45 years. Another was in her late 70's and had never had her eyes examined. We also tested their near vision. Many had trouble seeing to read, even children. They lined up along the sidewalk in the heat, and traffic noise as 200 garbage trucks travel this street to the San Jose garbage dump each day. Then they moved along to wait inside the clinic on kindergarten chairs for their distance visual acuity. The "Tumbling E" chart is used for this. The clinic is being held in the second floor run by the Humanitarian Costa Rican Foundation. The people that need glasses eventually make it to the 6th station, called Dispensing. This is were the magic and joy happens. The smiles, hugs and thank you's. I feel their happiness and give them the thumbs up as they leave. I remember my first pair of glasses at the age 7 because until then, I never knew that trees had leaves. The people's new found sight and what it means to each individual is what makes being part of this project worthwhile.